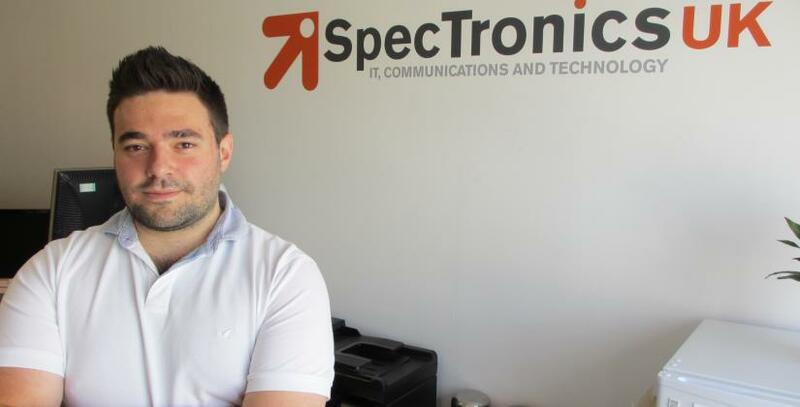 Wimbledon customer IT firm SpecTronics is expanding again after a upgrading office in the summer, doubling the size of his original business unit. We’re delighted to report one of our successful customers is expanding yet again, after upgrading offices in the summer. IT firm, SpecTronics moved into our Lombard Business Park in Wimbledon at the very start of 2014 and has expanded into its third office space before the year has ended. SpecTronics UK acts as an outsourced IT supplier offering to help businesses and home users, with their web, telecommunications and computing needs. A series of new contract wins has resulted in company founder, Ben Spector, securing office accommodation double the size of his original business unit, from 150 square feet to 360 square feet and more than tripled the number of desks within it, from two to seven, to accommodate for the growth of the SpecTronics team. Originally, Ben had used a virtual office with Bizspace before moving into his first commercial premises. Ben says Bizspace’s focus on flexible working has helped the firm achieve its rapid business growth. He comments: “Bizspace has made it really easy for us to grow so quickly. The flexible short-term licence and straight forward contract, allowed us to upgrade our office space painlessly. We closed an hour early on a Friday to move office units and were open by 9am on the Monday, ready for business. On 1 December, SpecTronics appointed Director of Sales and Marketing, Dion Brereton, who will use his extensive experience to head up a brand new sales team, streamline the marketing element of the business and ensure the consistency of the SpecTronics brand. After such an eventful year, Ben is maintaining momentum with his plans for the company for 2015. Ben explains: “I am very excited about the success of SpecTronics and increasing the size of the team this year. We are making that transition from a small business to a larger company and I am keen to uphold a culture that offers a personal approach to clients - something that our current customers value. SpecTronics is offering a free, face-to-face, IT review available exclusively to Lombard Business Park customers until the end of January. They will be happy to discuss services such as data security and backup (which has never been more important) and IT strategy that promises to streamline your business over the next 12 months. Call 020 7183 6076 to book your free review. For any entrepreneurs, start-ups or firms looking for flexible workspace in the Wimbledon area, our Lombard Business Park is the perfect space for business growth. Our business centre has a range of excellent facilities including meeting rooms with wi-fi and complimentary drinks, overlooking a modern indoor courtyard. There is also spacious car parking facilities and a mixture of accommodation including offices, light industrial units and workshops. To find out more contact Business Centre Manager, Nirav Patel, on 020 8544 0500.